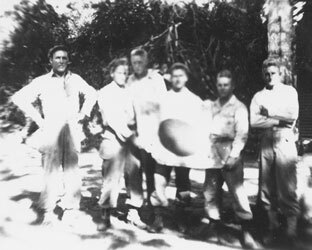 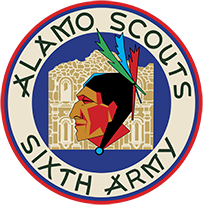 Documents | Alamo Scouts Historical Foundation, Inc.
SUMNER TEAM upon graduation from the ASTC, Finschaven area, N.G. 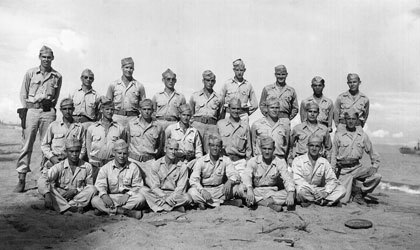 22 Jun 1944. 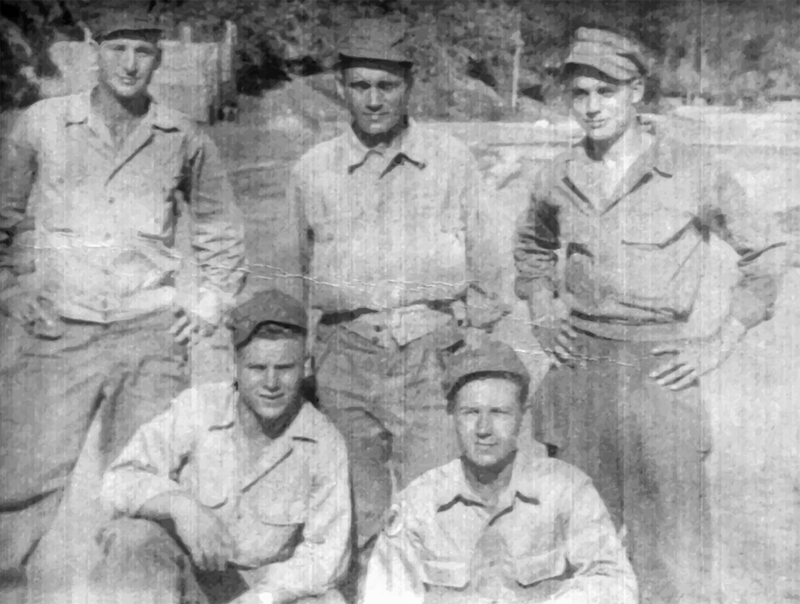 Back row L-R: Robert S. Sumner, Lawrence E. Coleman, Harry D. Weiland, Robert T. Schermerhorn. 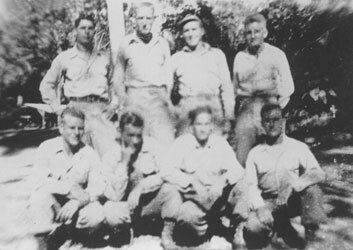 Front row: Paul B. Jones, Edward Renhols, William F. Blaise. 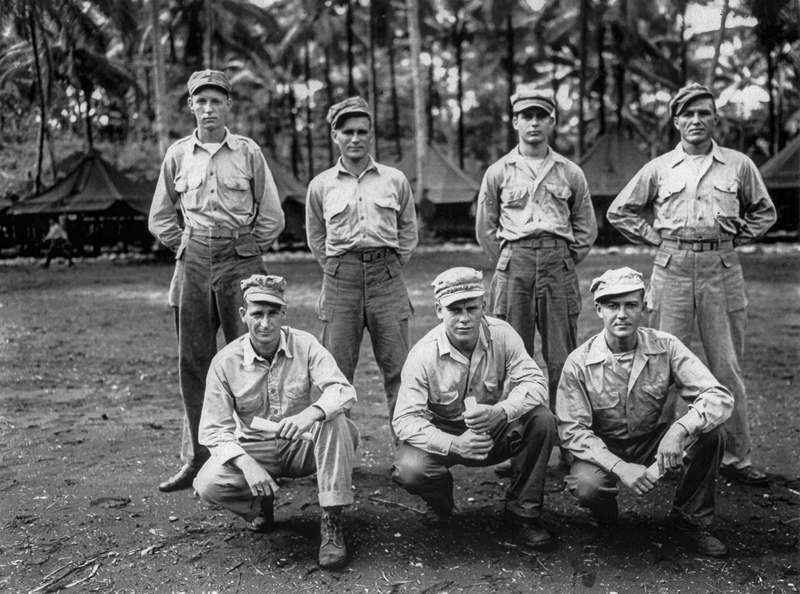 Sumner Team after receving the Bronze Star (for Pegun Island Mission), Leyte, P.I. 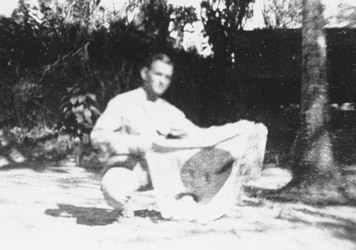 Jan 1, 1945. 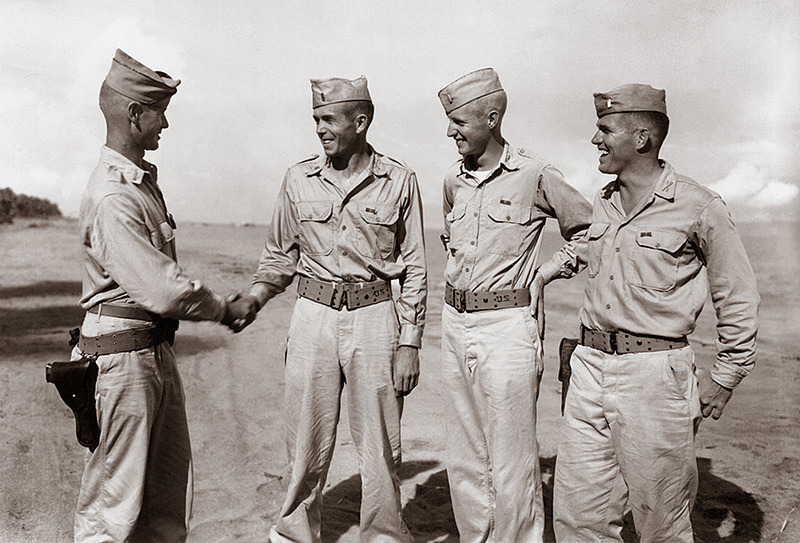 (Standing, L-R) Harry D. Weiland, Paul B. Jones, Edward Renhols. 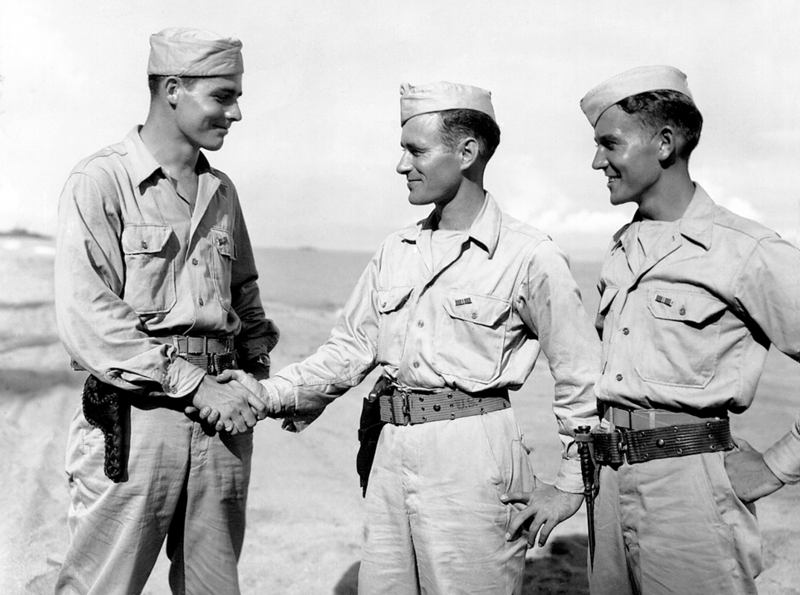 (Kneeling L-R) Robert S. Sumner, Lawrence E. Coleman, William F. Blaise. 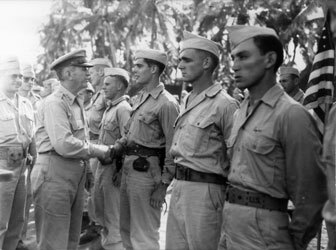 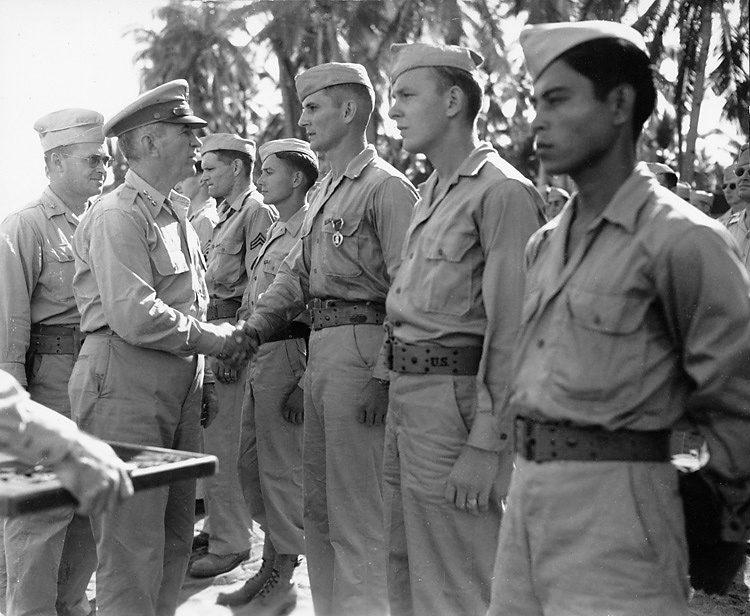 Harry D. Weiland, Lawrence E. Coleman, William F. Blaise following an awards ceremony on Leyte, P.I. 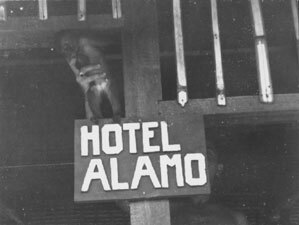 January 1, 1945. 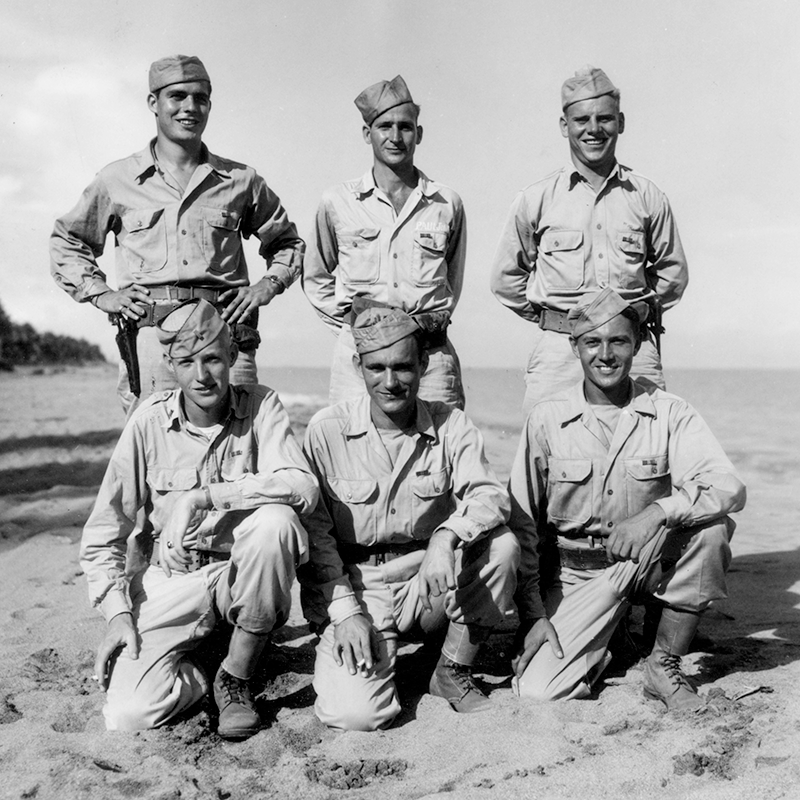 (Standing, L-R) Paul B. Jones, Lawrence E. Coleman, Harry D. Weiland (Kneeling L-R) Edward Renhols, William F. Blaise. 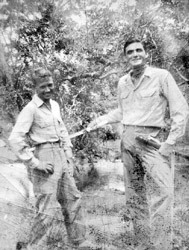 Harry D. Weiland (L) and William F. Blaise. 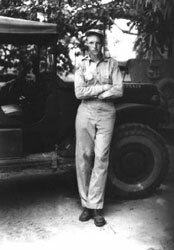 Paul B. Jones, William F. Blaise, 1944. 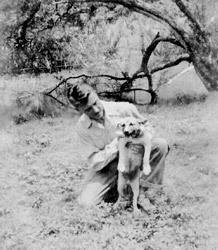 William F. Blaise and Guan. 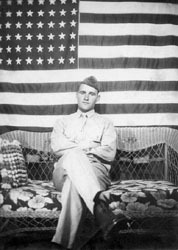 June 1945. 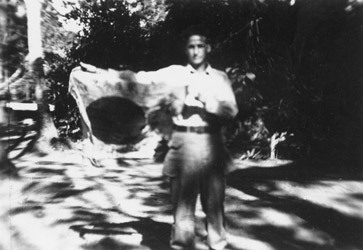 William F. Blaise and Guan. 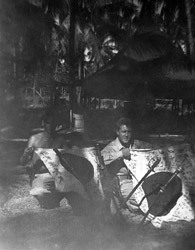 VICKERY TEAM in Northern Luzon during their last mission. 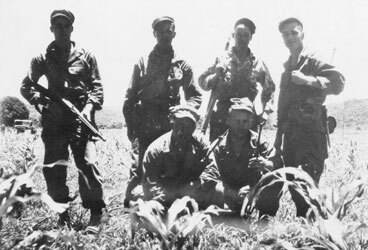 Aug 1945 (Standing, L-R) S/Sgt. 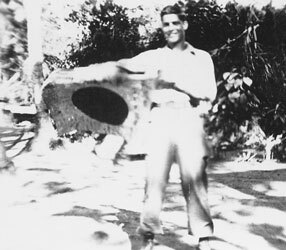 Harry Weiland, Sgt. 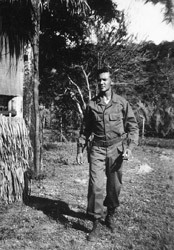 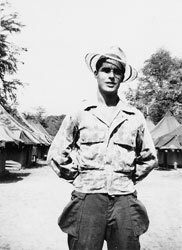 Bill Blaise, Sgt. 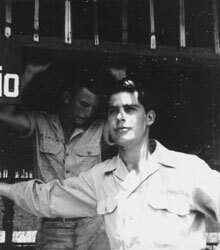 Paul Jones, Lt. Chester B. Vickery. 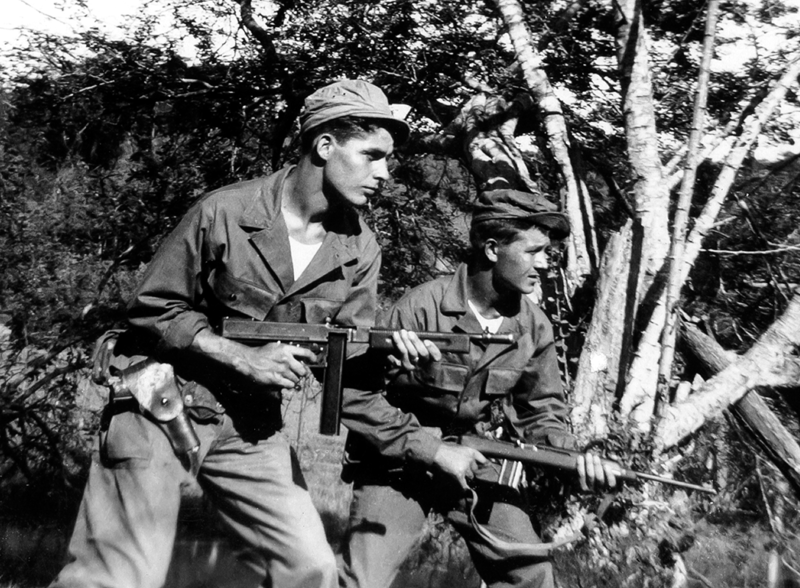 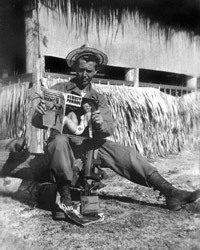 (Kneeling L-R) “Tony” (Filipino radio operator), Sgt. 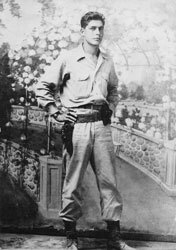 Edward Renhols. 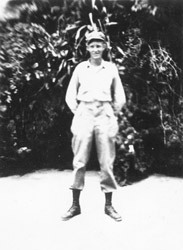 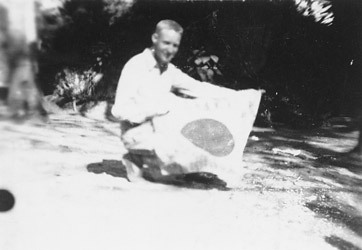 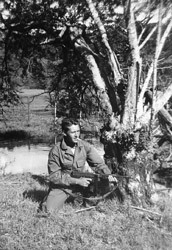 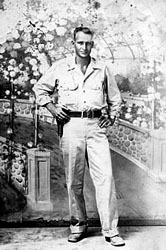 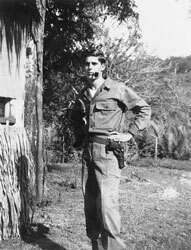 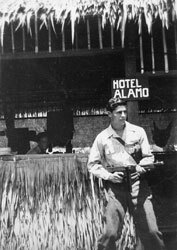 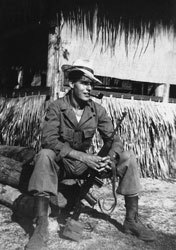 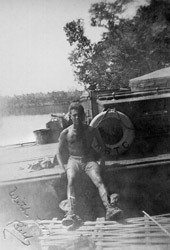 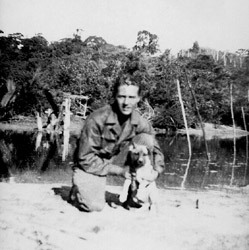 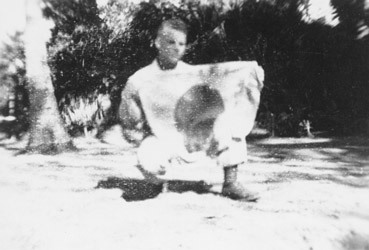 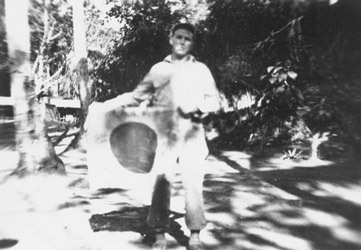 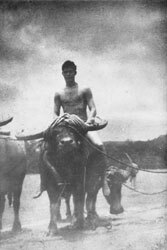 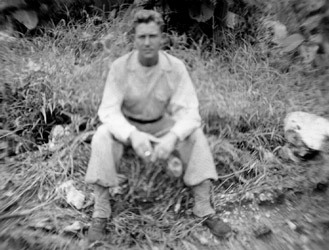 Alamo Scout, Ray Wangrud poses for a photo at the ASTC at Subic Bay, Luzon, P.I., 1945.